If there’s one industry that technology has transformed hugely in recent years, it has to be retail. The fact is, most people are doing their shopping online rather than visiting physical stores, a trend that is expected to continue, with a predicted doubling of retail e-commerce sales from 2016 to 2020. As a market, e-commerce is clearly lucrative. Data from Statistica claims that it generated $2.3 trillion (£1.8 trillion) of sales worldwide in 2017. And by 2021, online retail revenues could reach $4.88 trillion (£3.8 trillion). Besides major shopping sites such Amazon and eBay, PipeCandy estimates that there are two to three million e-commerce businesses of all sizes globally, and Statistica estimates that these firms had combined sales of over $446 billion (£350 billion) for 2017 in the US alone. The best thing about the e-commerce market is that you don’t have to be a Silicon Valley tech giant to create your own store. Thanks to technology, it couldn’t be easier to make a living by selling items online. But you need to ensure that you don’t just have an easy-to-use website so customers can find items effortlessly, you also need a reliable payment gateway for when shoppers hand over their cash. Payment gateways are services that handle credit cards and direct payments processing for e-commerce websites, as well as traditional brick and mortar outlets. 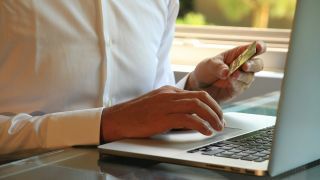 Aimed at enabling smooth payment transactions, they usually connect payment portals to banking services. These services also have security processes in place to identify and block fraudsters from hijacking payments and credit card details. We've picked out the best of these solutions here, considering features, cost and both customer and professional reviews when it comes to making our choices. The main aim of these solutions is to streamline the payments process, and Authorize.net (from Visa) does exactly that. Developed with firms of all sizes in mind and offering a choice of plans, the platform gives you the tools to sell items and take payments online, or in-person at a store. With the solution, you can accept payments from websites and transfer funds into a merchant bank account quickly. It supports all major credit cards, including Visa, MasterCard, American Express, Discover, Diner’s Club and JCB. As well as this, the platform is compatible with digital payment services such as Apple Pay, PayPal and Visa Checkout. Although the software can accept transactions made by customers all over the world, your business must be registered in the US, UK, Canada, Europe or Australia if you’d like to use this service. Plans start with the Payment Gateway Only offering, which has no setup fee, a monthly gateway fee of $25 (£20), plus a per transaction fee of $0.10 (£0.08) and a daily batch fee of an additional $0.10 (£0.08). At the other end of the spectrum are enterprise solutions which offer tailored pricing for larger business needs. Stripe is yet another powerful payment platform designed for internet businesses, with the company claiming to handle billions of dollars worth of transactions annually. The main difference between this service and many others is that it isn’t an out-of-the-box solution. Instead, you’re provided with a range of flexible tools to customize your own payment processes. Designed for larger firms, it offers a plethora of APIs that allow you to create your own subscription services, on-demand marketplaces, or crowdfunding platforms. It supports a range of development languages, including Ruby, Python, PHP and Java. Furthermore, Stripe supports more than a hundred currencies, and offers features such as mobile payments, subscription billing and one-click checkout. Users also get access to a dashboard where they can visualize transactions. Clearly, then, this is a feature-rich payment gateway, although Stripe does demand a lot more technological knowledge from the user than most providers. Payline is a Pineapple Payments company headquartered in Chicago, Illinois. It provides solutions to businesses ranging from startups to Fortune 500 companies, with a focus on the payment experience. Payline offers gateway payment processing, and its web solutions are designed to integrate with over 175 online shopping carts. The company also offers mobile solutions designed to accept payments via mobile apps. The Payline payment processing gateway also integrates with QuickBooks for ease of payroll management, and business financials in general. Pricing for this service starts with the $10 (£8) monthly fee, along with an additional 0.3% plus $0.20 (£0.16) transaction fee for each use. Adyen is used by companies such as Uber, Spotify, Microsoft and eBay to handle business and customer transactions. The software lets you accept every payment made to your company from a single platform, as well as giving you tools to manage risk and track results. For example, you’re able to identify buyer behavior and patterns, allowing you to tweak products and services appropriately. There’s also a built-in risk management tool that sifts through data to identify and fight cases of fraud. Processing fees vary by the method of payment, but the firm uses Interchange++ pricing, with an additional transaction fee which is $0.12 (£0.9) for most transactions. Boasting more than 220 million active accounts around the world, PayPal is clearly the most widely used payments platform. Founded in 1998 as Cofinity, it lets you make and receive payments all over the world. PayPal provides payment processing services for e-commerce vendors, auction sites and other commercial entities globally. The business version is known as PayPal Payments Pro, and allows you to accept credit cards including Amex and Visa, PayPal Credit, and PayPal. It also offers easy cart integration, plentiful customization options, online invoicing, and facilitates credit card payments over the phone. PayPal is normally associated with online marketplace eBay, but it’s worth noting that by 2020, it’ll cease to be eBay’s main payment option (as the company is switching to Adyen – although PayPal will still be offered as an optional payment service). In a statement made last year, eBay said it made the move to offer customers more competitive prices. This full service option comes at a price, costing $30 (£24) per month, with a transaction fee of 2.9% and $0.30 (£0.24) per transaction.